Laughter, battles, tattle … Such a large number of things happen around the kitchen table, and eating is the fuel for every last bit of it. I recollect the day I moved into my home in London; the main solicitation to the proprietor was a crete food table that could situate 10 in a generally empty property. Amid my adolescence in Crete food , I spent most nighttimes in our family fish eatery. Instead of playing find the stowaway with the other youngsters, I’d more often than not be out back peeling a sack of crete food potatoes or gutting fish. By day, I would run around with my blue journal and record every one of the formulas I needed to get ready for my family. It started with the insight of “the grannies”. In the mid year months, when schools were closed, I would get up in the morning and go down the stairs to thia (auntie) Koula’s home. She generally kicked her sustenance off in the morning. We would sit in the kitchen at her expansive wooden table secured with a plastic tablecloth and fake ribbon and taste on Greek espresso with sweet sesame rolls and plan the day’s cooking. She cooked the purest nourishment I have ever known. She had creatures, a patio nursery, olive trees, grape vines and she knew all there was to think about wild nourishment in Crete. Everything on her kitchen table was developed by her or made by her hands – I understand now what an extravagance that was. She taught me how to make dolmades (stuffed vine leaves), how to keep greens green by rubbing them with salt while you are washing them, how to scan for snails in the wild, how to eat carobs straight from the tree and how to love artichokes. I would frequently run tomato picking with thia Koula. Planted in long columns in the greenery enclosure, the plants were solidly helped by thick sticks and bits of string attempting to prevent the overwhelming natural products from touching the ground. She was exceptionally specific about her tomatoes; one wicker container would be for the ones she utilized for cooking and the other for the ones she utilized for eating – or those she kept to eat crude in servings of mixed greens. At the point when the sun was hot and the tomatoes posed a flavor like nectar, we would make the best tomato wastes. Despite everything I recollect the first occasion when I tasted them. The tomatoes, which you could smell before you even saw them, the new mint, the wild oregano … the entire kitchen appeared to overflow with the sweetness and smells of summer. I likewise adored having a new tomato serving of mixed greens with broiled fish. Some of the time, I would squeeze a couple of dazzling anchovies or sardines from the can of verging on alive fish that Dad would use for trap, then broil them. They were the best nibble in the early night following a monotonous day on the shoreline. Father had a considerable measure of little and weird fish in that container he brought home. They were proposed for kakavia – the angler’s fish soup – which was my most noticeably awful bad dream, as I needed to clean many small fish, at times secured with shocking spikes. At the point when an eel was incorporated, despite the fact that it was long and dangerous – so harder to get ready – the soup turned out consummately. Kakavia is about the gelatin; gelatinous should the fish as much as possible. In this way, you either utilize an assortment of little fish or a beautiful enormous one, for example, a turbot (like beneath). We would lounge around the table with the enormous pot in the middle and spoon it out. I advanced through the fish gradually, eating all of meat connected to every one, then sucking all the flawless flavors from their heads. 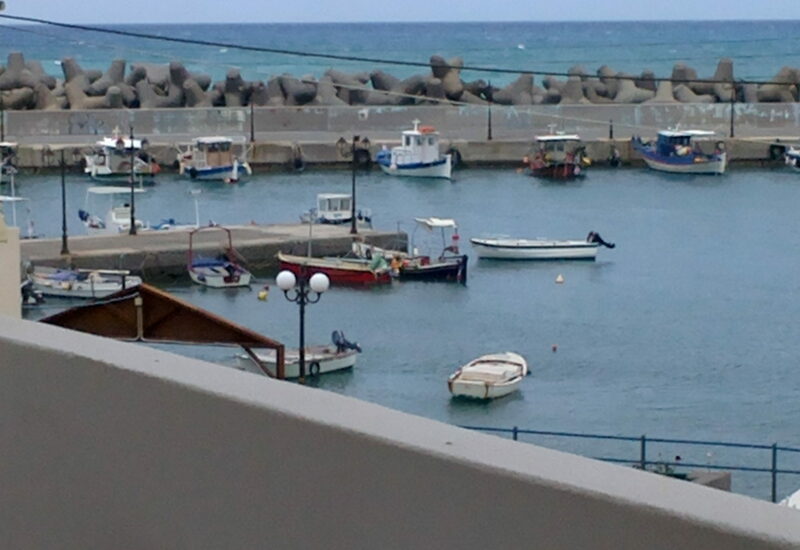 We would pulverize grain rusks into the juices and stay there picking for quite a long time, reveling continuously in this straightforward, conventional production of Cretan anglers that has been gone down through the eras. 1 Use a saucepan that will fit the potatoes snugly in a single layer at the bottom of the pan. After adding the potatoes, add the fish, followed by the tomatoes, celery, bay leaves, salt, olive oil and water. The liquid will partly cover the fish, but not entirely. 2 Put the saucepan over a high heat and bring to the boil. Cover with a lid and continue to boil for another 20 minutes. Shake the pan every so often, but never stir the contents. Before you turn the soup off, make sure the potatoes are soft. Add the lemon juice and parsley leaves, then give the pan a final shake. Turn off the heat, add the langoustines or prawns and let it sit for 15 minutes before serving. 3 To serve, use a slotted spoon or fish slice to transfer the fish to a platter very carefully. Divide the soup and potatoes into bowls. Add a langoustine to each plate. In Crete, we serve this soup with barley rusks, but lovely toasted sourdough will work perfectly too. 1 Finely dice the tomatoes and red onions, then put in a bowl. Add all the remaining ingredients and check the seasoning. The mixture should be thick, but not stiff. 2 Fill a frying pan with oil to a depth of at least 2cm. Heat the oil over a medium heat. When hot, add a spoonful of the mix into the hot oil. Lower the heat and cook the fritters on both sides until golden. Transfer to kitchen towel to drain. Repeat with the remaining mix. Eat while hot. 1 Wash, peel and cut the potatoes into halves, then put into a pot of salty water. Cook gently over a medium heat until ready. Remove from the water and drain in a colander. When cool enough to handle, cut into discs and put in a bowl. 2 Chop all the herbs finely, season with salt and toss them in 2 tbsp olive oil. Heat a pan over a high heat and, when hot, but not smoking, add the herbs for 1-2 minutes, or until wilted. Remove from the pan and add to the potatoes. Season to taste with olive oil, some lemon juice and extra salt, if needed. 3 Meanwhile, fill a pan with at least 4cm olive oil. Season the anchovies generously with salt. Add the lemon and orange zest to the anchovies and dust them in the flour. 4 When the oil is hot, fry the anchovies, carefully, until golden – do this in batches if necessary. Remove from the oil using a slotted spoon and transfer to a plate lined with kitchen towel to absorb any excess oil. 5 Season the potato salad with more lemon juice, olive oil, salt and pepper, then serve immediately with extra wedges of lemon on the plate.